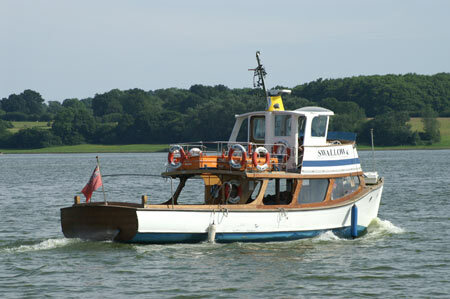 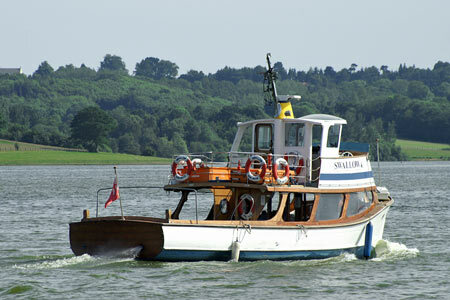 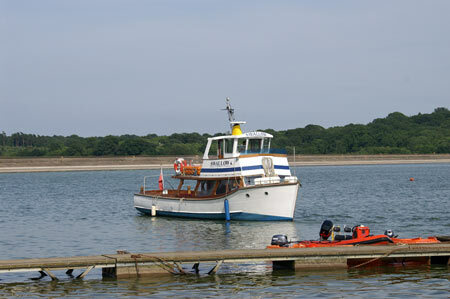 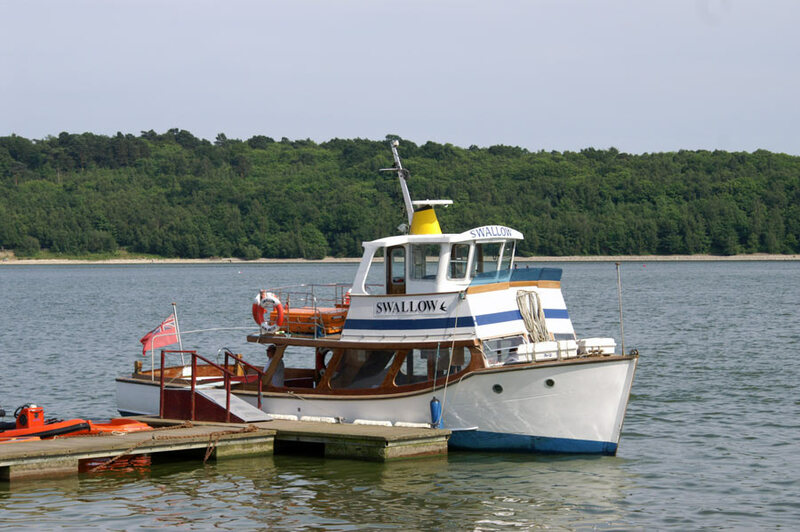 The Swallow operates cruises on Bewl Water in Kent. 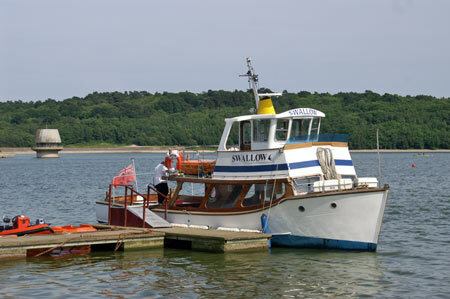 Between April and September, Swallow runs hourly cruises of 45 minutes duration between 11am and 4pm. She can carry 88 passengers and has a bar on board (but no toilet). 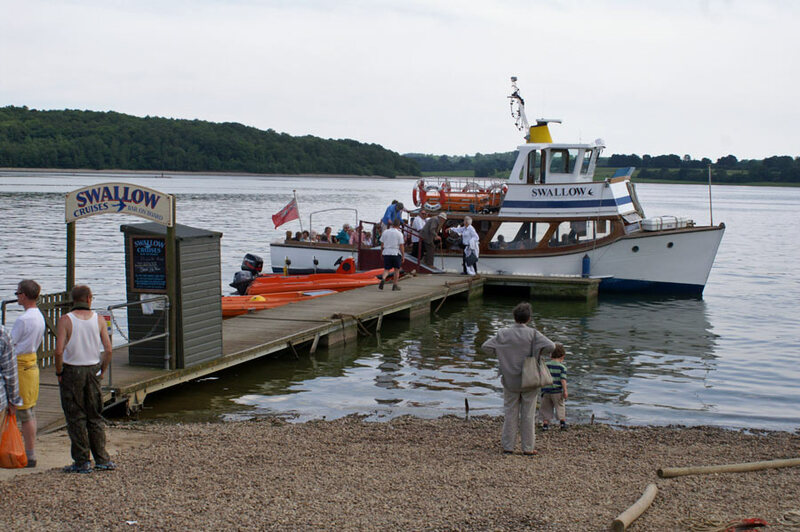 Cost is a reasonable £4, but there is also an admission charge to Bewl Water of £6 per car. The operator is referred to as both Bewl Cruises and Swallow Cruises on different notices. Swallow was built in 1975 and is 45 ft long. She was previously the Sparkle at Paignton, owned by R.Bewley (who replaced her with and older 1960 boat given the same name). 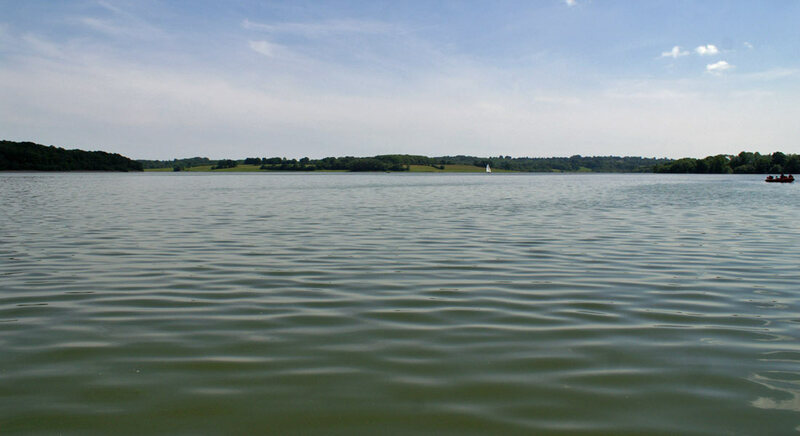 Bewl Water is a reservoir in the valley of the River Teise straddling the boundary between Kent and East Sussex. 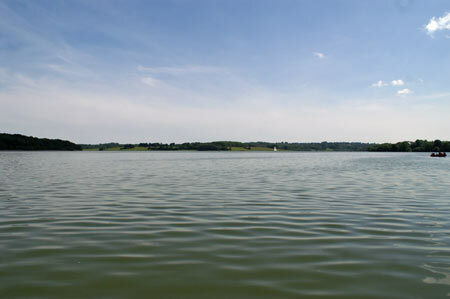 The reservoir was part of a project to increase supplies of water in the area. 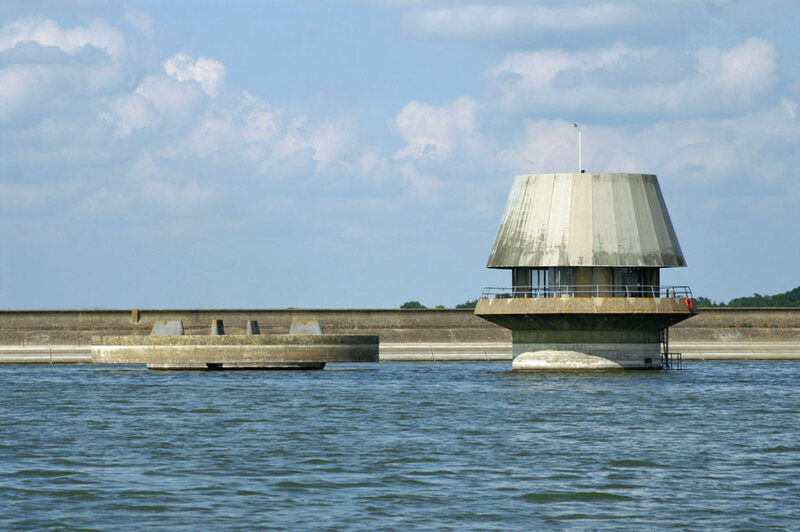 It supplies not only Southern Waters customers in the Medway towns, Thanet and Hastings, but is also used by other water companies in the area. Work began to dig the reservoir in 1973. 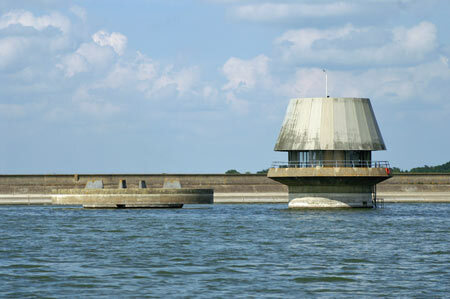 It was completed in 1975, by which time over 31,300 million litres of water had been pumped in. 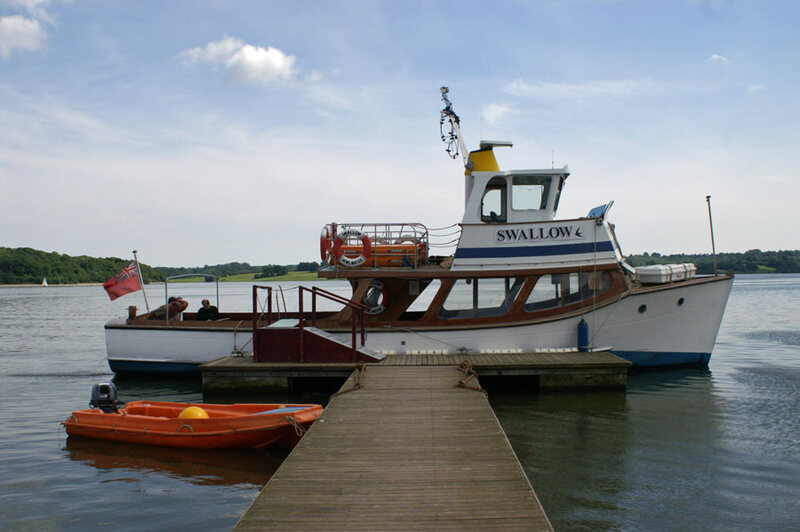 It is now the largest body of inland water in south east England. 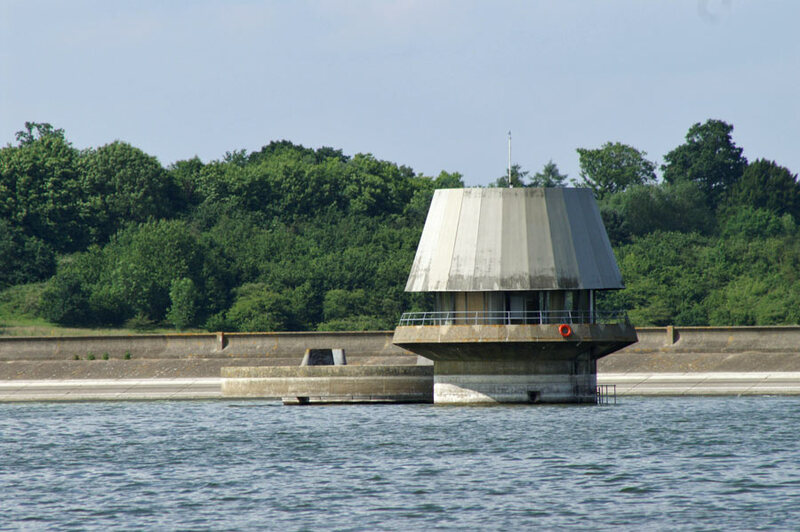 Every winter, water from the River Medway is pumped in to top up the reservoir, when flows in the river exceed 275 million litres per day. 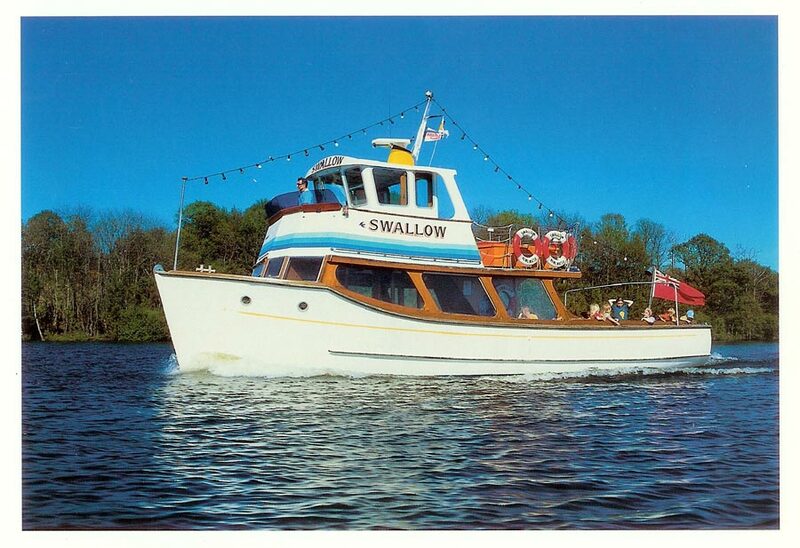 Swallow was built in 1975 and is 45 ft long. 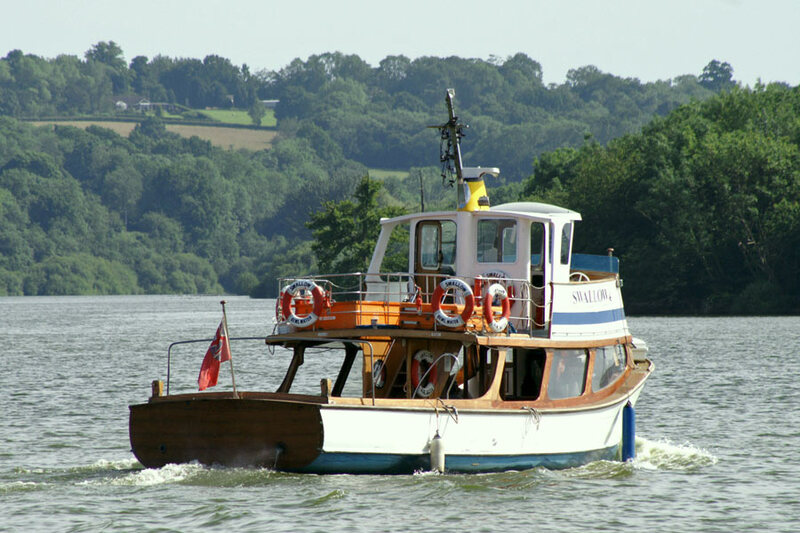 She was previously the Sparkle at Paignton, owned by R.Bewley (who replaced her with and older 1960 boat given the same name). 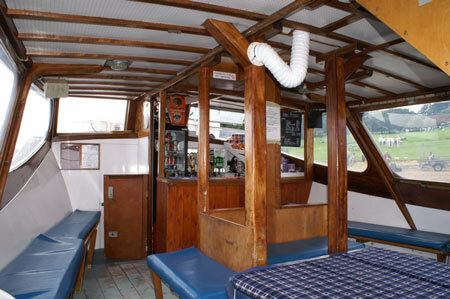 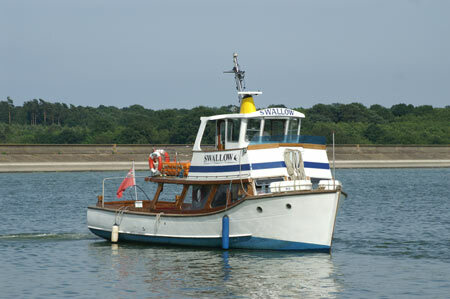 The Swallow operates cruises on Bewl Water in Kent. 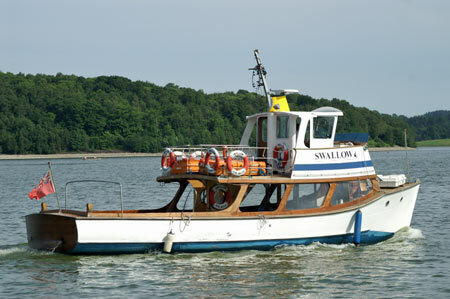 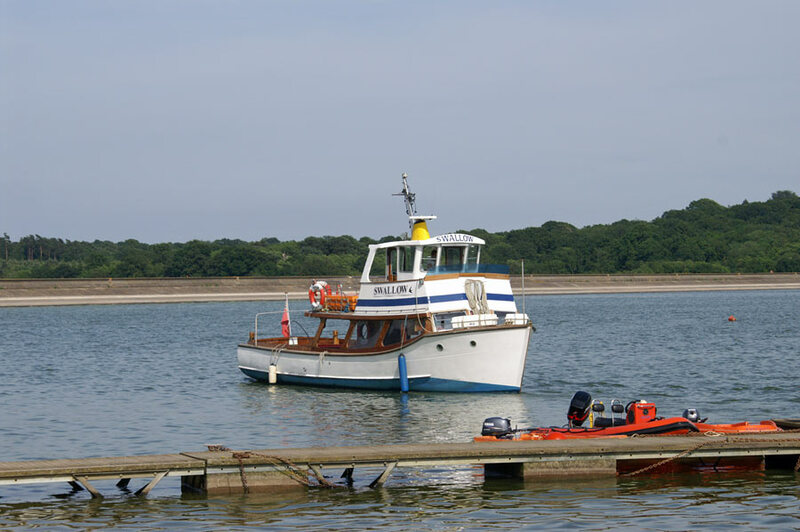 Between April and September, Swallow runs hourly cruises of 45 minutes duration between 11am and 4pm. 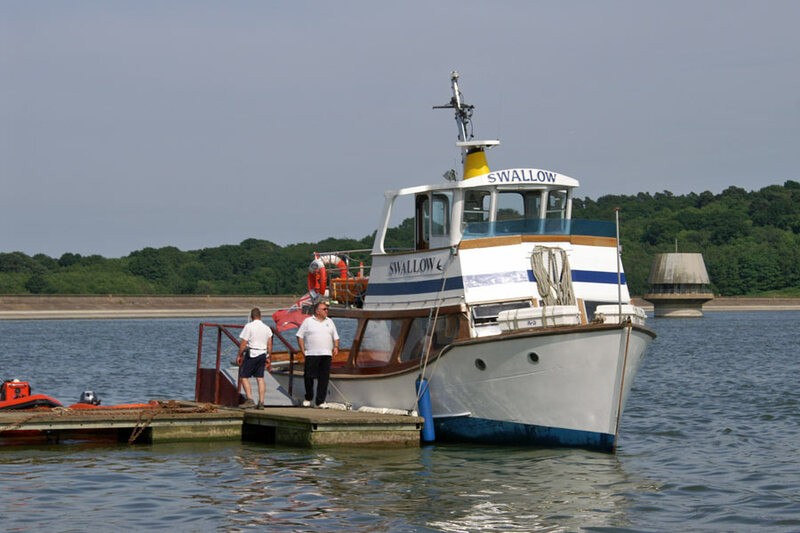 She can carry 88 passengers and has a bar on board (but no toilet). Cost is a reasonable £4, but there is also an admission charge to Bewl Water of £6 per car. 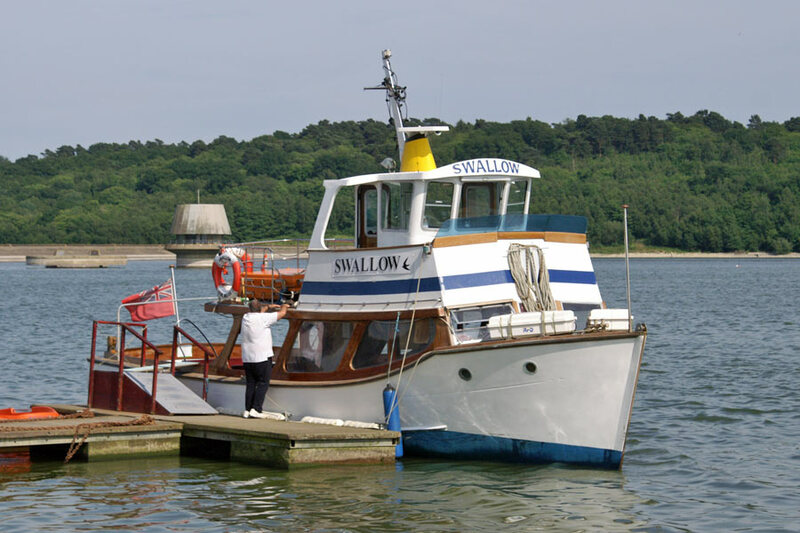 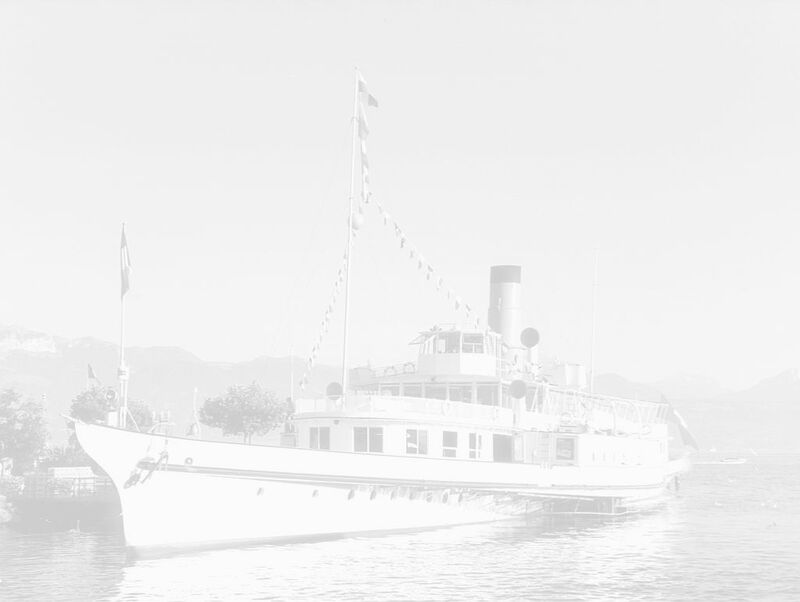 The operator is referred to as both Bewl Cruises and Swallow Cruises on different notices.